These striking mens cuff-links are made with Clear Crystals and plated with Rhodium. 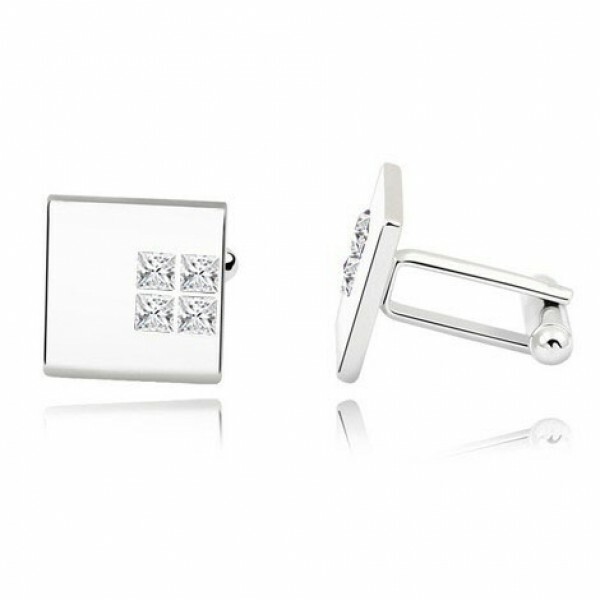 Complete your shirt in style with these stunning cuff-links which are sure to make you the talking point of any room you enter. They have been hand made with each crystal carefully placed and come with a branded Velvet gift pouch for luxurious presentation.